Areas Covered: All Yorkshire covered. Subjects: Health and positivity, Organ donation, charity fundraising. My life as one of TV's Eggheads. I am a 28 year old (*young) ?adventurer?. In my spare time, I focus on pursuing the life of a grown-up, but, in between, I'm usually found exploring the world by bicycle. In 2015, I returned home from a 16,000 mile bike ride from Australia to the UK. I pedalled across 24 countries over 10months. My trip took me from the hot arid desert of out-back Australia to the treacherous, freezing conditions of the Tibetan plateaux- from the urban extravaganza of Singapore to the empty plains of Kazakhstan. 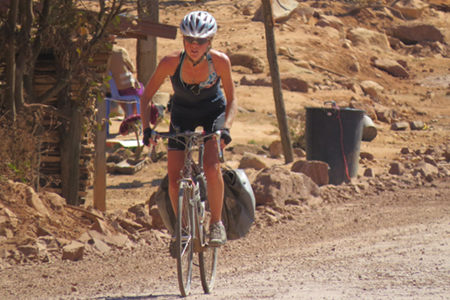 The nomadic life of a touring cyclist meant sleeping under bridges, in forests, out in the dusty sun-baked bushland, but most favourably, in the comfort of strangers homes where the true essence of the country came to life. I use my talks not only to help motivate and inspire others, but to open a window into a world beyond the one we know. World War and which helped determine the outcome of the conflict. stores, interrogation centres,chemical weapons stores and many others. who lived nearby and who worked there. architecture over the last 75 years. the legendary Hacienda nightclub in Manchester. Inside the BBC - my stories from 25 years in front of and behind camera in the BBC. Breakfast News, BBC News, File on 4. 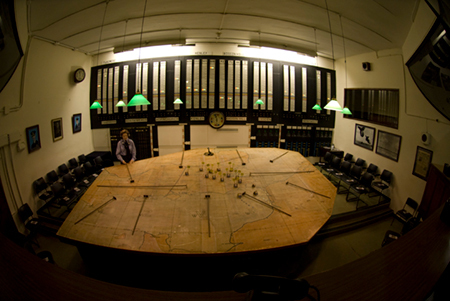 Photo of the map room in the Battle of Britain control bunker. Subjects: Alan has led a very full life. After running away to sea at the age of 16 he found himself joining the British Army where he spent 7 years in the Royal Artillery and 5 years in the Special Air Service (SAS) seeing action in many theatres of war, from Northern Ireland to the Falklands War and Africa to South America. Upon leaving the Army he then acquired a small empire in the hospitality industry which was taken from him. At the age of 54 Alan entered the world of Film and TV and became a successful multi award winning actor. Interesting, funny, sometimes sad but always inspirational Alan will hold nothing back. Therefore there is plenty to be had for a wide range of audiences. Subjects: Ray details his experiences around working in a prison, he's written and published a book called "Happiness is door shaped", and, the book is the basis of his presentation. Prison is a community within a community, drugs, rapes, violence is present every day, you fear for your safety and the safety of those you are committed to protect, a balance which is hard for Prison officers have to manage every day. We deal with the most challenging Prisoners , including Charles Bronson, who took a member of staff hostage at Hull prison. Reliving stories from a number of Prisons, makes for an interesting and informative talk. Subjects: Geoff draws on his experience of overcoming the difficult circumstances life has left him following a major stroke aged only 37. Undaunted, his talks highlight how life is effected by such traumas. Equally he explains how he has overcome discrimination in sport and changing faces of the track and has competed in World Masters. Nowadays Geoff also teaches swimming and is a support worker, he has competed in triathlons as recently as 2016. 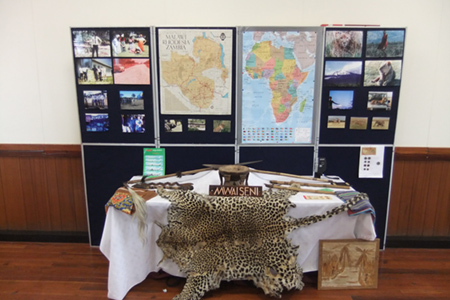 Subjects: I have worked as a field archaeologist since 2001 across the globe and I currently work as the archaeology advisor for the Defence Infrastructure Organisation in the Ministry of Defence. This role requires liaison with military authorities and other stakeholders over matters related to heritage and archaeology across the MOD estate in the north of England and Scotland. Since 2003, I have also worked as a battlefield archaeologist in France and Belgium on the battlefields of the First World War. This work has involved the development of battlefield archaeology as a field discipline and the recovery of many missing soldiers remains. 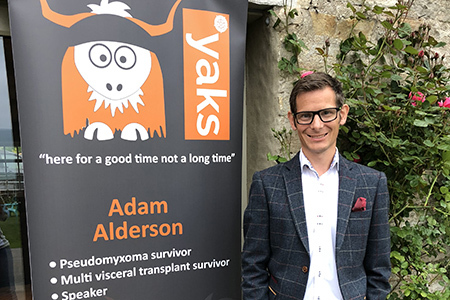 Whilst in this role, I have also featured in several television programmes, including productions for YAP Films and the BBC. My talks centre on battlefield archaeology and what further information it can give us when studying the First World War, including understanding the trench systems, recovery and the identification of the soldiers remains, even pinpointing the location of a destroyed tank. 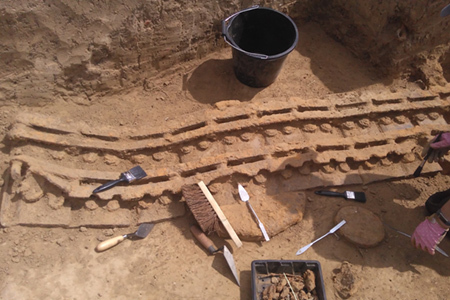 Recent (2017 and 2018) excavations at Bullecourt, in France where Mark II tanks attacked with Australian soldiers in 1917. The site was excavated and revealed some evidence for the tank attack. The project was also staffed by volunteers made up of ex-forces veterans suffering from various physical injuries and PTSD and helped their recovery through the Operation Nightingale group. Mametz Wood was the scene of an attack by soldiers of the 36th (Welsh) Division in 1916, despite large casualties the woods were captured. Excavations in 2015 revealed the remains of German positions in the woods along with evidence for the brutal nature of the fighting. The team were also joined by the rugby star Gareth Thomas who was researching his relatives who had fought in the First World War. My fee is £40 for a talk of about an hour with questions, presented as a Powerpoint presentation. I provide my own projector, but will need a wall or screen to project onto. I am willing to travel, however, I am based in Rotherham and will charge expenses for a journey longer than half and hour. Subjects: AMY JOHNSON, HULL'S PIONEERING AVIATOR - Her life and achievements. FLIGHT OF DISASTER - An account of the R38 airship crashing into the Humber in 1921. 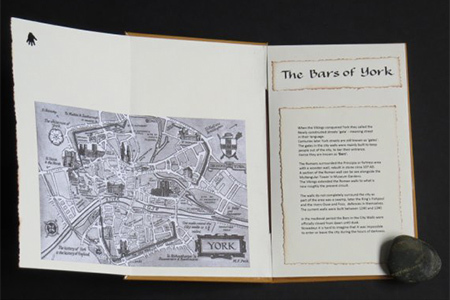 Subjects: I am an internationally recognised and published book artist, do look at my pictorial blog to see the books that I make. I call what I do Paper Magic because I take a flat sheets of paper and by the magic of folding turn them into three dimensional books. I am also a calligrapher and many of my books contain some calligraphy. I bring a large display of my books for people to handle and enjoy. My talk would probably take 45 mins about how I became a book artists and stories surrounding the books that I make. I also offer Paper Magic workshops. This lecture is photography based, and comprises of 85 images with a short narrative on each image. 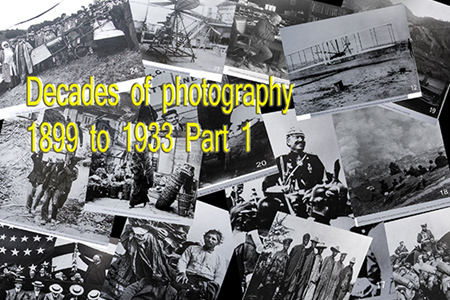 It takes you from 1899 through to 1933; most of the photographs shown are important events in history and most images show recognisable figures. The lecture is to provoke your memory and show how certain events and people dramatically change our history. No photographic knowledge is required. There will be a part 2 depending how part 1 is received. This talk is a fun lecture where the audience will be asked if the image on the screen is a real photograph or a manufactured photo i.e. Photoshopped. It consists of 90 to a 100 images and lasts about 80 mins, or I can make it shorter if required. You do not have to be a photographer to enjoy this talk its just for fun. This talk is about some of the different people I have photographed over the years, ranging from homeless people to some interesting portraits. Also included are night time images I have taken and manipulated. This talk consists of 80 to 90 images and lasts about 60 to 70 mins, or I can make it longer if required. You do not have to be a photographer to enjoy this talk. The lecture is designed to help people improve their photography when on holiday, what to look for, where to stand, what to include in the shot, etc. It covers different cities and other holiday locations. This talk consists of 80 to 90 images and lasts about 60 to 70 mins, or I can make it longer if required. You do not have to be a photographer to enjoy this talk. This lecture is aimed at people who love photographing flowers, grasses and other types of plants. I will show how to improve your plant photography. No photographic knowledge is required for this talk. This talk consists of 60 to 70 images and lasts about 60 mins, or I can make it longer if required. You do not have to be a photographer to enjoy this talk. The lecture is designed to show people how and what to photograph when on holiday, such as what to look for, looking for patterns and colours to remind you of where you were, what to include and exclude. No photographic knowledge is required for this talk. This talk consists of 60 to 70 images and lasts about 60 mins, or I can make it longer if required. You do not have to be a photographer to enjoy this talk. The lecture is designed to show people what the different buttons on their cameras are for, and how to use them. Also I will try to explain some of the basic principles of photography. Some knowledge or interest of photography would be beneficial but not essential. This talk consists of 20 to 25 images that are text based and lasts about 60 mins, or I can make it longer if required. This fun quiz is about the audience guessing what the distorted, mixed up images are, they are all house hold items that are seen or used by most people. This talk consists of 60 to 70 images and lasts about 60 mins and it just for fun. Using Photoshop I will show how the use of post processing programs can greatly improve and enhance your current photographs, I will demonstrate the basics for how Photoshop works. No photographic knowledge or understanding of Photoshop is required but some familiarity would be a benefit. The lecture will be projected onto the screen via my laptop.